A mentoring relationship is a win-win for all parties: the employee who seeks a mentor, the mentor, and organizations that employ the mentoring pair. Need convincing? Here’s why mentoring and coaching employees makes business sense. Seeking a mentor? Here’s how to find mentoring and coaching, benefit from mentoring, and succeed in mentoring. In this interview with Beth Carvin, CEO of Nobscot Corporation, a global technology firm that focuses on key areas of employee retention and development, the goal was to discover the advantages and opportunities that happen as a result of powerful mentoring and coaching employees. Susan Heathfield: Beth, could you briefly describe your experience with mentoring and coaching for the HR section's readers. They are familiar with your work with exit interviews and are eager to benefit further from your knowledge. Beth Carvin: I got involved with mentoring in 2003 through participation in the HR Talk (SHRM) bulletin board. Some of the regular posters were attempting to connect those with less experience in HR to some of the more senior HR professionals. There was a lot of interest in mentoring and coaching so it became quickly apparent that it was going to be a huge amount of work to manually match people. I looked around to see if there was some kind of technology that could be used for mentoring profiles and matching. There wasn't much available back then, so Nobscot's Chief Technology Officer offered to build the technology for us. Nobscot donated it to the HR Talk Group. Within just a couple of weeks of release, more than 100 mentorships were established. It was exciting. We would have left it at that but at the same time, there was this amazing convergence between mentoring and coaching and exit interviews. We were seeing over and over that the issues identified in the exit interviews could be solved or minimized through the use of mentoring and coaching. It was a real "Aha!" moment for us. Now, all these years later, our mentoring technology is used by corporations and associations around the globe. Heathfield: Are there any characteristics of mentors or requirements of mentoring and coaching relationships, aside from those commonly stated, that you would recommend? Carvin: There are specific characteristics that make for a good mentor. Good mentors are intelligent, encouraging, generous, and honest. In addition, the best mentors are usually direct, hold high expectations and have and are willing to share social capital. My absolute favorite characteristic is a mentor who can, to use Aristotle's words, "ignite the talent." Aristotle believed that every person had inside them talent that lay dormant. A great mentor is someone who can reach in and release that hidden talent. The key really to tap the most powerful benefits of a mentoring and coaching relationship is to have a mentor who is willing to introduce and vouch for the mentee in senior leadership circles. Carvin: I would suggest a multi-pronged approach using these four steps. Consider who might have the characteristics of a good mentor and how that person could assist with your identified needs in a mentoring and coaching relationship. Create an outreach plan to find your mentor. Decide how you will introduce yourself and request the mentoring relationship. Contact the potential mentor via phone, email, meeting, social media, or a letter. 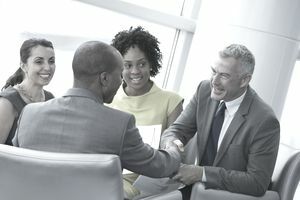 Include in your introduction: the specific reason you thought this person would make a good mentor for you, that you understand that the person is busy and you will expect only a reasonable amount of time from them, the areas you'd like to focus on in the mentorship, and the benefits of being a mentor. Then, follow-up, follow-up, follow-up until you have obtained your potential mentor’s response to your request to build a mentoring and coaching relationship. Heathfield: What can an employee reasonably expect from a mentoring and coaching relationship? On the low involvement end? On the most desirable end? Carvin: The amount of involvement required depends on the objective(s) of the mentorship. For example, a mentorship focused on career pathing, networking or sponsorship may require a significant time commitment at the outset as the plan for the mentorship is developed. A mentorship devoted to psycho-social support or on helping solve specific challenges may take a more sporadic approach based on needs that arise. At any rate, mentors and mentees should plan on communicating a minimum of once per month. That may morph into 2-3 times per month or once per 6 weeks but it's a good guideline. The mentor and mentee should also plan on a few hours per month of time devoted to the mentoring and coaching that will be performed individually. Mentees might follow up on a strategy discussed in the mentoring meetings. Mentors should be brushing up on a particular area of interest, creating learning activities or coordinating meetings to introduce the mentee to colleagues. Carvin: One of the exciting (and surprising) things about mentoring and coaching is that the mentors gain as much as the mentees. I've created a list of the Ten Best Reasons to be a Mentor which outlines some of these benefits. Heathfield: In your experience, how have mentoring and coaching relationships benefitted mentors and mentees? Please share stories that will help the readers understand the possibilities of obtaining and valuing a mentoring and coaching relationship. Carvin: In addition to career development, increased salary, promotions, and visibility, some of the other outcomes include the following. One simple, but important, story came to me from a mentee who was struggling with her career path. She had the choice between two very different job postings within her company. She was really stuck on which one to choose. Her mentor didn't hand her the answer, "Take this one." Instead, the mentor asked the right questions in such a way that she was able to determine the best course of action for herself. She told me that her mentor's guidance had huge ramifications for her future. She was not sure she would have come to the best conclusion without the assistance of their mentoring and coaching and she now has a framework for how to make difficult decisions. "It has been a great experience. My mentor was able to help me take the time to understand my strengths and weaknesses, to write out a plan for the near future and beyond, to understand what it will take to get there and to discuss it with my manager. Often we do not take the time out of our busy schedules to do this. I was very impressed with the way my mentor was able to guide me." "It has been a life-changing experience. I gained the perspective that I simply didn't have on my own. One mentoring session gave me enough material for a lifetime of work! My mentor is brilliant! " "I had a very simplistic view or wrong view of career path and career development. My mentors helped me sort out the options, helped me see things I don't see myself, and answered my questions. It is definitely a very positive experience for me. I'd highly recommend the mentor program to people." I'll also add that mentoring creates advantages not just for the mentee and mentor but also for the company for which the mentor and mentee work. Starting or expanding a corporate mentoring and coaching program can do wonders for employee retention, commitment, development and succession planning.